When can I get fibre? 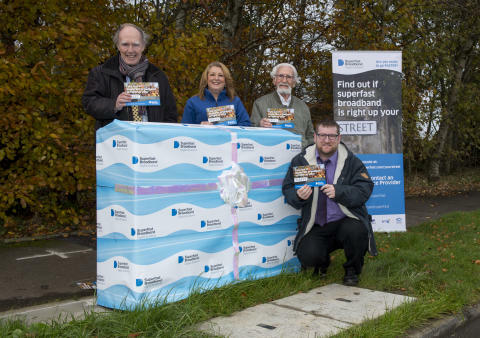 Councillor Lawrence Fitzpatrick and local residents help the Digital Scotland team unveil the Murieston street cabinet. 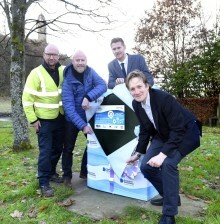 The community of Murieston on the outskirts of Livingston celebrated the arrival of more high-speed fibre broadband this week as Councillor Lawrence Fitzpatrick and local residents helped the Digital Scotland team unveil a new street cabinet. Around 90 more homes and businesses in Murieston can now get connected to high-speed fibre broadband, building on earlier work in the area thanks to the £428M Digital Scotland Superfast Broadband programme. In total, around 540 local premises can now order high-speed services. They are among around 1,000 homes and businesses across Livingston which are now able to access fibre broadband through the Digital Scotland rollout. Other areas in West Lothian to benefit from the rollout, led by the Scottish Government, include Uphall, Fauldhouse, Blackridge, Linlithgow, Philipstoun and Whitburn as well as additional recent coverage in places like Longridge. More local coverage will follow as engineers from Openreach – Scotland’s digital network business - continue work on the ground. Local people can check the Digital Scotland website - scotlandsuperfast.com - to find out if they are able to access the latest fibre broadband technology. People need to sign up with an internet service provider, as upgrades are not automatic. Leader of West Lothian Council Lawrence Fitzpatrick said: "The introduction of superfast broadband will be welcomed by businesses and residents in Murieston. 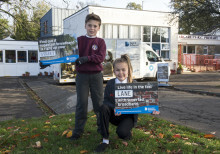 The rollout of superfast broadband in Murieston has ensured more premises have access to a fast fibre network and lots of premises are signing up and befitting from the service. Fibre broadband offers fast and reliable broadband connections at speeds of up to 80Mbps* and there are many suppliers in the marketplace to choose from. Whether you own a business, work from home or want to keep in touch with friends and family, fibre broadband enables multiple users to connect to the internet at high speeds and get better, faster access to online services. Sara Budge, Programme Director for Digital Scotland Superfast Broadband, said: “It’s fantastic news that the programme has been able to benefit residents and businesses in and around Livingston. Digital Scotland funding partners include the Scottish Government, Highlands and Islands Enterprise, BT Group, the UK Government through Broadband Delivery UK (BDUK), local authorities and the European Regional Development Fund. BT Group is investing £126 million in the rollout, and the total project value includes around £18 million which is being reinvested back in to the programme as a result of stronger than expected early take-up. *These are the top wholesale speeds available from Openreach to all service providers; speeds offered by service providers may vary. Due to the current network topography and the economics of deployment, it is likely that not all premises within selected exchange areas will be able to access fibre-based broadband at the same point in the roll-out. The Digital Scotland Superfast Broadband programme aims to provide fibre broadband infrastructure to parts of Scotland not included in commercial providers’ investment plans. Combined with current commercial roll-out plans, the programme will deliver access to fibre broadband to around 95% of premises by the end of the current contract. Openreach is Britain’s digital network business. That means we connect homes, mobile phone masts, schools, shops, banks, hospitals, libraries, broadcasters, governments and businesses – large and small – to the world. It’s our mission to build the best possible network with the highest quality service, and make sure that everyone in Britain can be connected. Our 30,400 people work on behalf of more than 580 communications providers like Sky, TalkTalk, Vodafone and BT. Our fibre broadband network is the biggest in the UK, covering more than 26.8 million premises. And our technology is the basis of Britain’s thriving digital economy, which is the largest of the G20 countries. We’re working hard to give people the broadband speeds they need at work and at home. Over the last decade, we’ve invested more than £11bn into our network. And we now manage more than 158 million kilometres of cable stretching from Scotland to Cornwall, and from Wales to the east coast. But we’re not stopping there – we’re making superfast broadband speeds available to thousands more homes and businesses every week. We’re owned by BT Group and independently governed. Our business is highly regulated, and more than 90 per cent of our revenue comes from services that are regulated by Ofcom. Any company can access our products under the same prices, terms and conditions. In the year ending 31 March 2017, we reported revenues of £5.1bn. To find out more about us and what we do, go to openreach.co.uk. Pupils at schools in Edinburgh and South Queensferry this week got the chance to learn about technology on board the Digital Scotland Fibre Showcase. More than 20,700 households and businesses across the City of Edinburgh Council area can now access high-speed fibre services thanks to the £428 million Digital Scotland Superfast Broadband project, which Openreach is delivering on the ground. 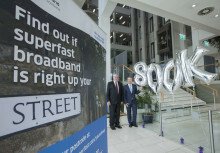 More than 800,000 premises across Scotland are now able to connect to fibre broadband thanks to the £428M Digital Scotland Superfast Broadband roll-out, which passed another 34,000 premises in the last six months. Places like Appin, Argyll and Bute; Melvich, Caithness; Bargrennan, Dumfries and Galloway; and Tillyfourie, Aberdeenshire, are now able to receive fibre broadband for the first time. More than 14,000 homes and businesses in the Stirling area are able to connect to high-speed fibre broadband thanks to the £428M Digital Scotland Superfast Broadband programme. Best-selling local author Craig Robertson helped to unveil the latest high-speed coverage.